True Source Honey - Ethically Sourced. Perfectly Delicious. Support Products with The Made With True Source Certified HoneyTM Logo. These makers of food and personal care products have shown their commitment to responsible honey sourcing. 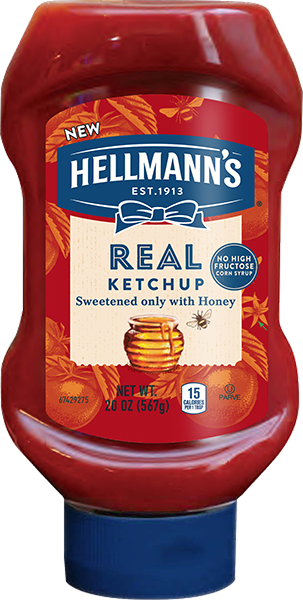 Hellmann's Real Ketchup Sweetened Only with Honey has only six real, simple ingredients - tomato puree, honey, white wine vinegar, salt, onion powder, and spices - and they are all non-GMO sourced. Our ketchup contains absolutely no high fructose corn syrup or artificial colors, flavors or preservatives. 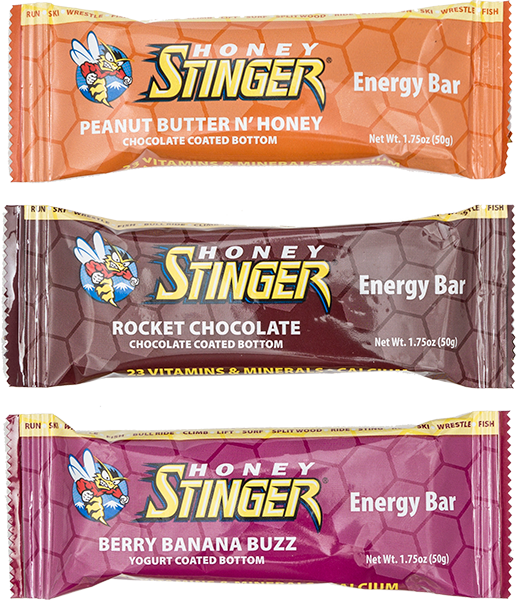 Honey Stinger makes convenient, nutritious and great-tasting honey-based foods, with True Source Honey as a staple ingredient. Offering options for every activity and time of day, there are three Made With True Source Honey certified product lines. The Energy Bars are a great source of fuel for before or during a workout as well as a healthy snack alternative. 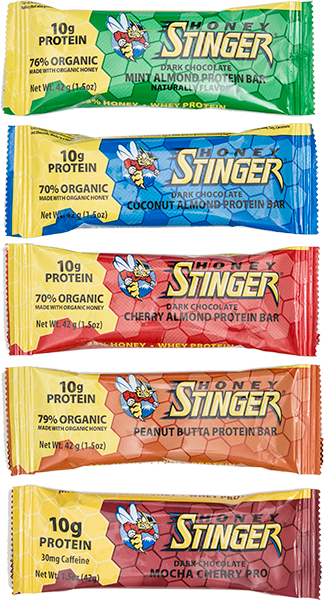 Perfect for endurance training, recovery and as a meal-replacement snack, the Protein Bars contain 10g of protein and 30% honey. 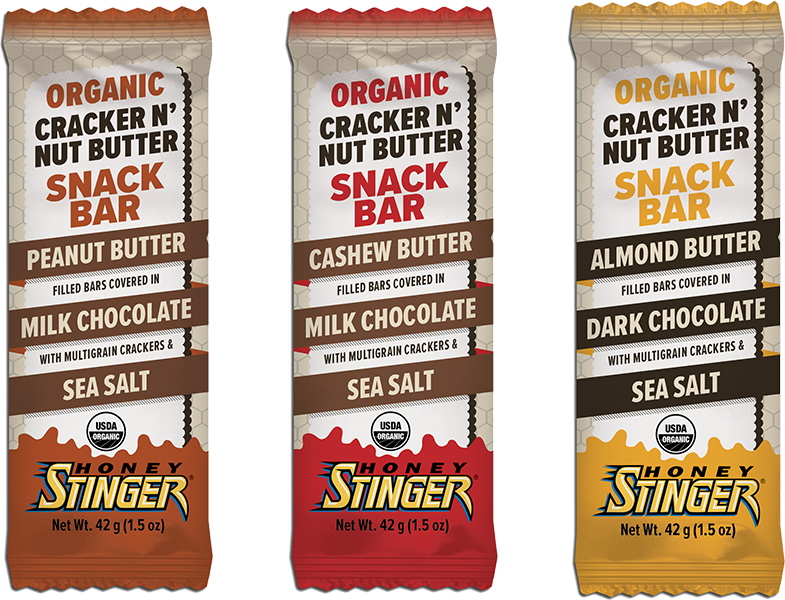 And finally, the Organic Cracker N' Nut Butter Snack Bars hit the spot for those craving a guilt-free sweet and salty snack. Droga's Money on Honey line is a multi-award-winning collection of clean caramel and chocolate treats made from wildflower honey, fresh cream and real butter. We create delicious better-for-you snacks using only the finest ingredients and do our part to make the world a better place by donating a portion of our sales to support honeybee populations. Click here for additional information on using the Made with True Source Certified HoneyTM logo. My company will consider True Source Certification in the next 2 years. Share your initial thoughts regarding this program. Thank you for showing interest in the True Source Honey initiative. You will receive email updates to the program and news events as they become available. In the meantime, you can follow us on Facebook and Twitter and check our website for continuing events within the honey industry.